The Standing Stone: Maryborough Fort, Portlaoise, Co. Laois. Maryborough Fort, Portlaoise, Co. Laois. Location – In the heart of Portlaoise town in what is now called Fitzmaurice Place next to the old CBS on Tower Hill. Description and History – This really should have been the first place to have been put onto The Standing Stone as I saw this place every day while going to school as I went to the Christian Brother’s School just across the street. In fact, lunchtimes were often spent in Fitzmaurice Place in which the remains of the fort now stand. This is part of the original walls and fortress of the town. 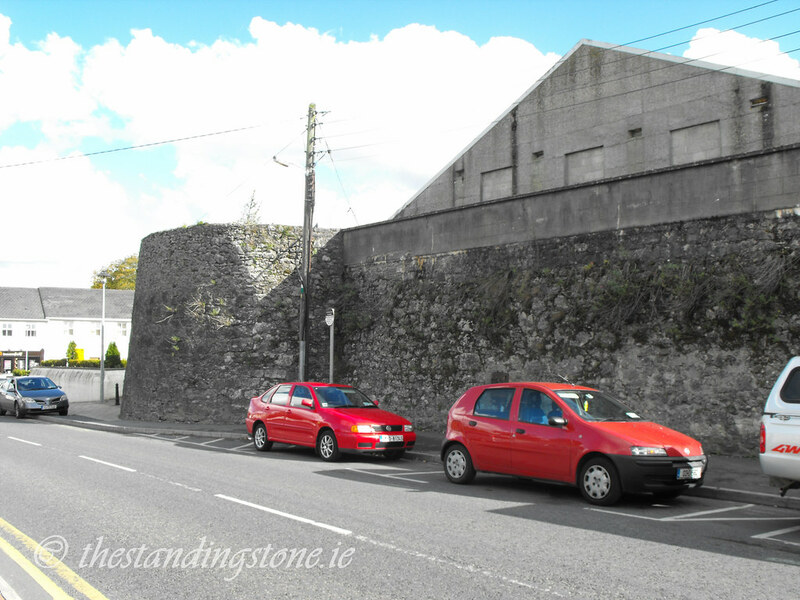 The fort, which Portlaoise later grew around, was probably built in the middle of the 16th century. A fort was established here in 1548 by English settlers and was known as Fort Protector after the Lord Protector of England, the Duke of Somerset. 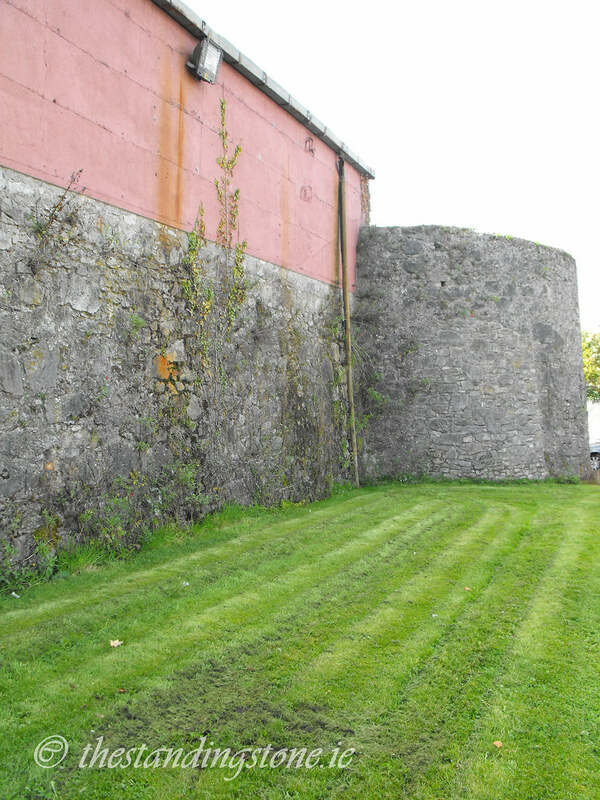 The fortress was built as part of the Laois-Offaly plantations. In 1557 the name was changed to Maryborough in honour of Queen Mary. It was at this time that the name of the county was changed to Queen’s County. As the site of the first English plantation in the area it was, for a time, the only town in the county. However, by the 1650s it had been outgrown by both Mountrath and Ballinakill, both of which are dwarfed by Portlaoise today. By this time the population was largely Irish with only 48 English settlers. The early history of the town is bloody to say the least. Between its foundation in 1548 and 1607 the new town was witness to around thirty armed uprisings and was actually burned to the ground during the Geraldine Uprising in 1580. 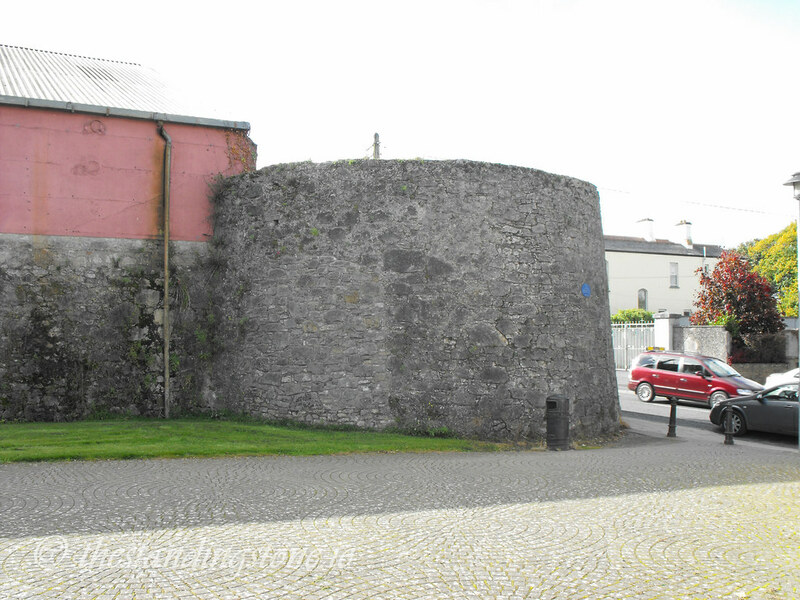 The fort was surrendered to Owen Roe O'Neill in 1646 before being retaken by Cromwell's forces in 1650. Following this the town saw a steady expansion into what is Portlaoise today. As to the remains of the fort, all that remains is one corner tower and two short portions of defensive wall. The tower stands to a height of 6m and has a slight batter. It is now joined to many modern buildings and the inside cannot be accessed. 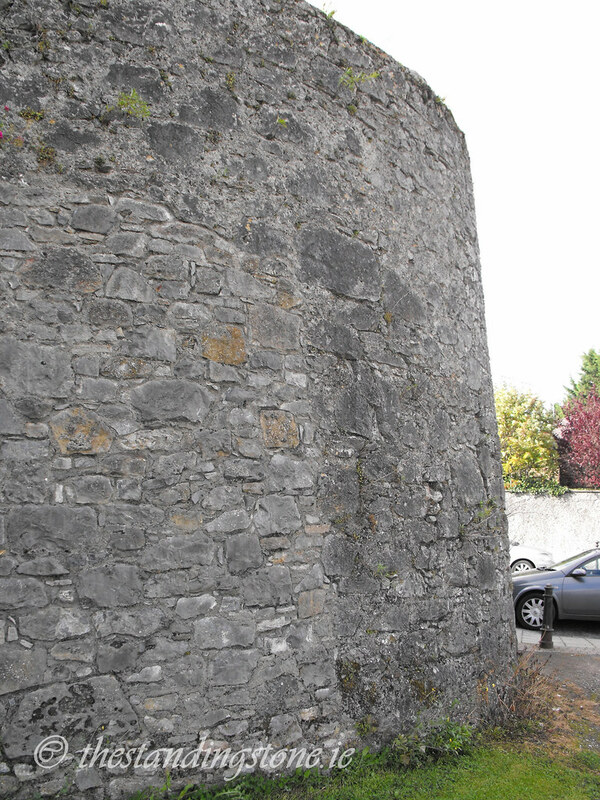 Luckily there has been a lot of interest in the old town walls as of late and the Laois Heritage Society have received limited funding from the Heritage Council to produce a conservation report for Fort Protector. This has been backed by Laois County Council and 3D laser scans have recently been carried out on the remaining structure. Difficulty – Easy to spot and navigate with parking close by.